What’s going to happen to Feedburner? Google recently announced yet another round of "spring cleaning." For those unfamiliar with Google's use of the phrase, it can be translated thusly: "We aren't making enough money from these products, so we're orphaning them. Tough luck." Indiscriminate tossing of baby and bathwater has led to abrupt changes at Google -- including the abandonment of very pricey acquisitions and about-faces that occur at a whiplash pace. By my count, Google has discontinued more than 70 free-standing apps and major sets of APIs in eight different "spring cleanings" over the past 18 months. Perhaps Larry Page took Steve Jobs' advice to figure out what Google's good at, and focus ... mercilessly. Let's look at the grimmest Google garrotes, starting with the first spring reaping. In February 2010, Google bought social networking site Aardvark for $50 million and canned it 19 months later. Users sent questions to Aardvark via the Web, IM, or email. Aardvark linked the requests with friends-of-friends who might have the answer. Seven-year-old Google Desktop Search bit the dust. Once the envy of XP-era desktop search, Google's product worked on Windows, OS X, and Linux. Fast Flip, a precursor to flippable news magazines like Flipboard (which appeared on iOS in late 2010), bit the dust after two years. Google Pack, which bundled apps like Desktop, Picasa, Google Earth, Chrome, and the IE toolbar, got unglued. Google also axed Maps APIs for Flash, Web Security, Notebook (which may come back as Google Keep), and Sidewiki. Google Buzz, an odd social networking feature in Gmail, strove to take on Facebook and Twitter but failed, except in its influence on Google+. Integration with Picasa, Flickr, Google Reader, YouTube, Blogger, and Twitter presaged the let's-dump-everything-here tendency of more recent aggregators. Buzz lasted 20 months. If you were a programmer back then, you probably remember the demise of Code Search, the remarkable attempt to make open source code more accessible, no matter where it resides. Ohloh has taken up the mantle. Google bought Jaiku, a Twitter-like networking service, in 2007, stopped new development in 2009, and finally gave up the ghost in 2011, as tweets overwhelmed jaiks. iGoogle, which features prominently in the July 2012 spring cleaning, lost its social features. Perhaps the most-loved Google orphan, Google Wave, defies description: Start with a re-imagining of email, with the message and its replies in a single location, augmented by real-time multi-user editing capabilities. That's just the beginning. 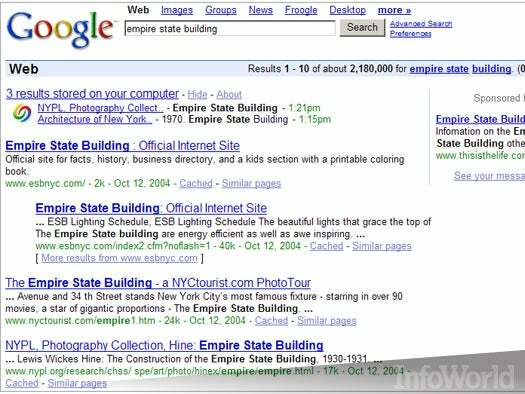 Google released Wave to the public in May 2010. By August 2010, Google stopped development and killed it officially in November 2011. Google Gears also went belly-up. Once the storage engine behind Gmail, YouTube, Docs, Reader, and many more Google products, Gears was best known for mirroring cloud files onto the local computer via the browser. Google decided to add the features to HTML5. While Google wanted Knol to turn into a Wikipedia competitor, it didn't happen. Google turned the content over to Annotum, an open source academic site. In March 2010, Google bought Picnik -- best known as the default photo editor inside Flickr -- for between $40 and $80 million. In January 2012, Google announced it was shutting down Picnik, moving the photo editing team to work on Picasa and Google+. In October 2011, Google spent $700 million for Needlebase, a highly regarded program that scrapes data off Web databases (it was the engine behind Orbitz). In January 2012, Google announced it was killing Needlebase on June 1, absorbing the technology into other Google products. That same month, Google killed Sky Map, an Android skyviewing app taken in by Carnegie Mellon; Google Message Continuity enterprise email disaster recovery; and the client side of Urchin, having provided the guts for Google Analytics. April's crop of cuts contained few that anyone would lament. The most interesting was an online mapping app developed by Google called the Flu Vaccine Finder. Google handed over all of its development tools to the HealthMap effort at Children's Hospital Boston and Harvard Medical School. We also saw the usual demise of a bunch of APIs, a browsing assistant nobody ever used called Google Related, a mobile version of Google Talk, the long-lamented Picasa for Linux (which had maybe 10 users), and the One Pass payment method for online publishers. July brought the single worst Google evisceration in history. iGoogle, the build-it-yourself blocky interface for RSS feeds, got the axe. I've taught thousands (tens of thousands?) of people how to work with RSS feeds using iGoogle. Google didn't summarily kill iGoogle, granting a 16-month stay of execution until Nov. 1, 2013. I will miss it. Google Video also hit the skids. Google started merging Google Video and YouTube in 2007, finally blocking uploads to Google Video in May 2009, but retaining Video's search functions. In April 2011, Google announced it was killing Google Video, but backed off two weeks later. This was the coup de grace. The fat lady also sang for Google Mini enterprise search, Google Talk Chatback, and Symbian Search. Just two months after the last spring cleaning, Google lopped off eight more heads, simultaneously. The most ominous: AdSense for Feeds. Nobody was using AdSense to make money from their RSS feeds, which is why Google killed it, but few people realized at the time that Google had pretty much given up on RSS feeds: AdSense for Feeds was Google's only way to make money from RSS. More roadkill: Google Classic Plus let you use any image as a background for the Google search screen. Spreadsheet Gadgets were covered by the native Charts app. Google News Badges rewarded reading news items (!). Places Directory was rolled into Google Maps. Storage in Picasa and Google Drive was consolidated. Insight for Search melded into Trends. Google announced it would no longer support syncing via Microsoft Exchange ActiveSync by preventing customers from setting up new devices with Google Sync -- except for paid Google accounts. There's little reason for the axing, except to goad Microsoft into supporting CalDAV (calendar) and CardDAV (contacts) on Windows Phone, Win8, and Windows RT. The move took effect Jan. 30, 2013; Windows Phone users have a reprieve until July 31, but a recent Metro app update has muddled the picture. Microsoft has posted a Google Sync work-around for Windows 8 and Windows RT customers. Google also announced it was discontinuing some Google Calendar features, the Issue Tracker API, and a practically unknown retail customer loyalty scheme called Punchd. The demise of RSS aggregator Google Reader sent wails through the blogosphere, with many accusing Google of corporate malfeasance, crass indifference, and a targeting of tech writers, who were among Reader's most vocal victims. Of course, Reader was in decline: TechCrunch's MG Siegler says Reader referrals to its site were down two-thirds in the past 18 months. Google Apps Script GUI Builder hit the skids. Google restricted direct access to the CalDAV API to select developers. Building Maker, an app that let people build 3D models for certain cities in Google Earth went, as did Cloud Connect, which provides a direct way to access Google Drive from Office apps. Now you need to install Google Drive separately. Ka-ching. Before "spring cleaning" became an enduring Google meme 18 months ago, Google signaled the start of its serious pruning effort by canceling Google Labs, in a July 2011 blog entitled "More wood behind fewer arrows." Before you shed a belated tear for the group that brought us, among many others, Gmail and many of its features, Google Earth, Google Maps, Google Body, and Google Goggles, consider the not-so-surprising fact that many of the old Google Labs projects live on. They've just been moved to different divisions, presumably transforming them from cost centers to parts of operational divisions. The old logo's gone, but the rest lives on. 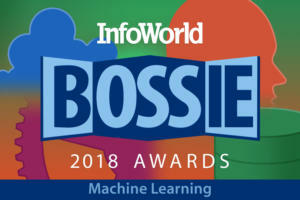 NetworkWorld has a list, compiled in October 2011. I fully expect Google's next spring cleaning will bring the demise of FeedBurner. After all, Google has systematically killed off every RSS-based app in its arsenal except for FeedBurner, the engine that drove them. iGoogle went in July 2012, though it's been granted a reprieve until November 2013, and FeedBurner will no doubt stick around until then. AdSense for Feeds crumbled last September. Google Reader bit the bucket earlier this month. Google declared the FeedBurner API deprecated in June 2011, but left the door open with "no scheduled date for shutdown." Google bought FeedBurner in June 2007, for a reported $100 million. If it goes down the tubes, FeedBurner will be one of the biggest products Google ever bought, then explicitly euthanized. Just five days ago, Google announced its latest creation, Google Keep. Although Google would like you to think it's an Evernote competitor, in fact, Keep doesn't play in the same league. A very straightforward note-keeping app, Keep may have aspirations to compete with Microsoft's OneNote, but even that comparison is more than a little strained. 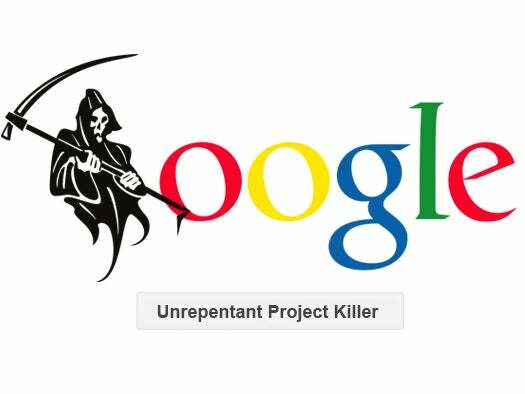 Keep owes a little bit to its conceptual predecessor, Google Notebook, which was killed in September 2011. Clearly, Google created Keep to answer critics of the Google Apps suite who couldn't find a OneNote competitor. Just as clearly, the product needs a lot of work. Will it succumb to spring cleaning as rapidly as the others in this list? Time will tell.